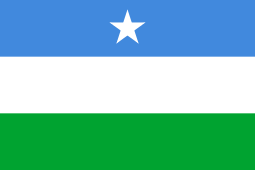 The Sultanate of the Geledi (Somali: Saldanadda Geledi, Arabic: سلطنة غلدي‎‎) was a Somali kingdom that ruled parts of the Horn of Africa during the late-17th century and 19th century. The Sultanate was governed by the Gobroon Dynasty. It was established by the Geledi soldier Ibrahim Adeer, who had defeated various vassals of the Ajuran Sultanate and founded the House of Gobroon. The dynasty reached its apex under the successive reigns of Sultan Yusuf Mahamud Ibrahim, who successfully consolidated Geledi power during the Bardera wars in 1843, and Sultan Ahmed Yusuf, who forced regional powers such as the Omani Empire to submit tribute. 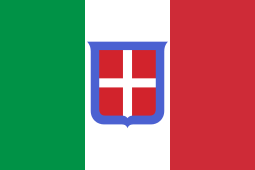 The sultanate was eventually incorporated into Italian Somaliland in 1908, and ended with the death of Osman Ahmed in 1910. 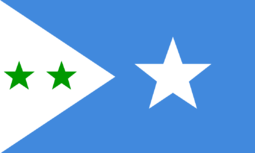 At the end of the 17th century, the Ajuran Sultanate was on its decline, and various vassals were now breaking free or being absorbed by new Somali powers. One of these powers was the Silcis Sultanate, which began consolidating its rule over the Afgooye region. Ibrahim Adeer led the revolt against the Silcis ruler Umar Abrone and his oppressive daughter, Princess Fay. After his victory over the Silcis, Ibrahim then proclaimed himself Sultan and subsequently started the Gobroon Dynasty. Ibrahim and the other Gobroon nobles were descended from Omar Dine, an early Muslim leader who had arrived with four of his brothers from the Arabian peninsula. Among this group of siblings, all of whom were Islamic clerics, was Fakr ad-Din, the first Sultan of the Mogadishu Sultanate (fl. 13th century). The other two brothers are referred to variously as Shamse Dine (Shams-ad-diin), Imudi Dine, Alahi Dine and Ahmed Dine. Omar Dine is said have taken residence in Harar. Some traditions also associate him with that city-state's sixteenth century Sultan, Umar Din. The Geledi army numbered 20,000 men in times of peace, and could be raised to 50,000 troops in times of war. The supreme commanders of the army were the Sultan and his brother, who in turn had Malaakhs and Garads under them. The military was supplied with rifles and cannons by Somali traders of the coastal regions that controlled the East African arms trade. 1 Ibrahim Adeer late 17th century–mid 18th century Established the Geledi sultanate in the late 17th century. First ruler in the Gobroon Dynasty. 2 Mahamud Ibrahim mid-18th-1828 Inherited throne from father. Bequeathed it to son. 3 Yusuf Mahamud Ibrahim 1828–1848 Rule marked the start of the golden age of the Geledis. 4 Ahmed Yusuf 1848–1878 Exacted tribute from the Omanis south of Lamu. Regularly extended support to East African sultanates fighting the Zanzibaris. 5 Osman Ahmed 1878-1910 Inherited throne from father. Reign marked the beginning of the decline of the Geledi sultanate. ↑ Historical Dictionary of Somalia. p. xxix. Retrieved 2014-02-15. ↑ Historical Dictionary of Somalia. p. 210. Retrieved 2014-02-15. 1 2 3 4 Historical Dictionary of Somalia. p. 26. Retrieved 2014-02-15. Luling, Virginia (2002). Somali Sultanate: the Geledi city-state over 150 years. Transaction Publishers. ISBN 0-7658-0914-1. Luling, Virginia (1993). The Use of the Past: Variation in Historical traditions in a South Somalia community. University of Besançon. Virginia Luling (2002). Somali Sultanate: the Geledi city-state over 150 years. Transaction Publishers. ISBN 0-7658-0914-1.